When you’re involved in a legal dispute between family members, you want that dispute resolved as efficiently and cordially as possible while still protecting your interests. Radley Family Law’s team of Newmarket family lawyers can help you achieve this goal by delivering professional, compassionate, and knowledgeable service in all areas of family law. Contact Radley Family Law today to set up a free, no-obligation legal consultation with an experienced Newmarket family lawyer. 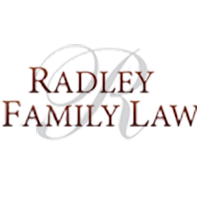 The Radley Family Law team is prepared to assist Newmarket divorce and child custody clients with divorce proceedings, spousal support disagreements and access disputes, child protection conflicts, and other family-related legal matters. Through our years in business, Radley Family Law has developed a reputation for providing knowledgeable service to residents in communities across Ontario. Radley Family Law is led by Rachel Radley, a celebrated Ontario family lawyer and former attorney for the Province of Ontario’s Family Responsibility Office. During her time at the FRO and in her subsequent practice as an independent representative for Ontario families, Rachel Radley has earned a reputation as a fair and reasonable attorney with a broad area of expertise. The lawyers who work with her at Radley Family Law share this diverse knowledge base. We provide service for individuals involved in child custody and access disputes, spousal and child support disputes, and division of property disputes. We also help clients process separation agreements, restraining orders, pre-nuptial agreements, and divorce decrees. For residents of Newmarket and the surrounding area, a Newmarket family lawyer from Radley Family Law would be pleased to offer their services. We also provide service to Richmond Hill, Woodbridge, Brampton, York Region, Markham, Concord, Maple, and Toronto. Rachel Radley and her team believe that effective family lawyers must understand and have compassion for their clients, who may be experiencing one of the most challenging points in their life. Outside of the death of a close friend or family member, family legal disputes are among the most traumatic events an individual can experience. Our team seeks to acknowledge this and treat our clients with the utmost respect. We are fully aware that no two relationships are perfectly alike, and that each case will present fresh challenges and unique scenarios. Our aim is to help our clients emerge from the legal process feeling respected and holding a new lease on life. We believe that no matter how difficult your situation is, there is always a brighter day ahead – it’s our job to help you get there. The team at Radley Family Law is happy to offer free consultations to all our clients. Call us at 905-669-2109 or reach us through our online contact form to set up an appointment. From our head offices located in Vaughan, Ontario, the Radley Family Law team is ready to provide compassionate and effective service to clients across the province. Contact a Newmarket family lawyer today to discuss your legal options.